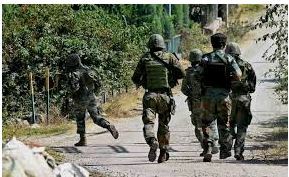 STORY: Two civilians were injured after Pakistani troops violated ceasefire and targeted residential areas in Indian Kashmir’s Poonch district, local media reported on Friday (April 12). The injured were taken to Mandi hospital in the district where they were treated for minor injuries. No deaths have been reported. The skirmishes between the two nuclear-armed nations rose after India claimed to have entered Pakistan’s airspace to destroy militant camps in February after a Pakistan-based militant outfit claimed an attack on its paramilitary police that killed 40. After this, both countries have claimed downing each others’ Air Forces’ jets and an Indian pilot was captured who was later released as tensions eased.